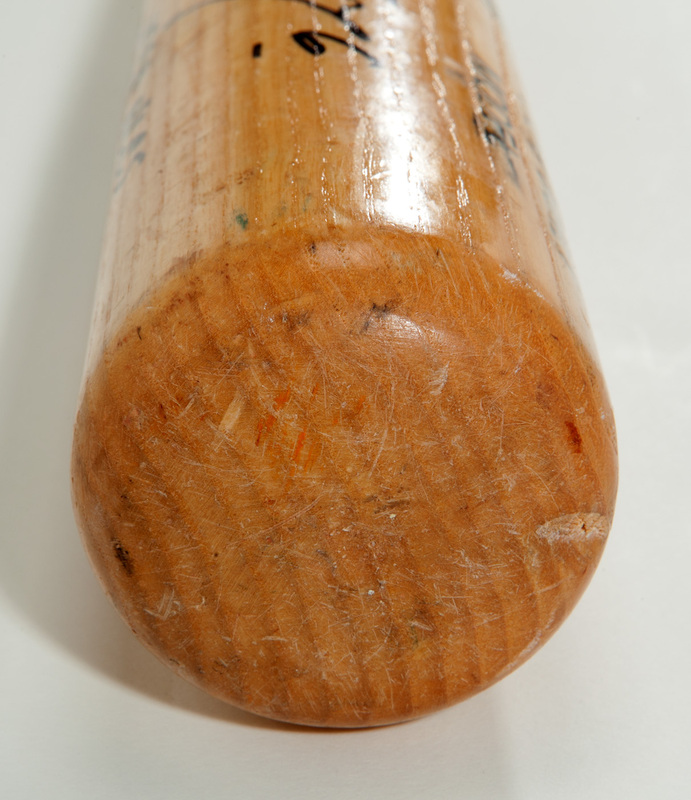 Presented here is Steve Garvey’s game used bat from one of the greatest post-season performances in baseball history, game 4 of the 1984 National League Championship Series between the Chicago Cubs and the San Diego Padres, played at Jack Murphy Stadium on October 6, 1984. The Padres were down 2 games to 1 and facing elimination. In the 3rd inning, following Tony Gwynn’s sacrifice fly to put the Padres ahead 1-0, Garvey followed with a two out double to make it 2-0. In the 5th, trailing 3-2 and with 2 outs, Garvey singled in the tying run. In the 7th, with the score tied and 2 outs, Garvey singled to drive in the go ahead run. Finally, in the 9th inning, with the score tied 5-5 and 1 out and one man on, Garvey crushed a 2-run walk-off home run to win the game. In an elimination play-off game Padres fans will remember for all time, Steve Garvey came through 4 times in a row with 5 runs batted in for a 7-5 Padre victory. 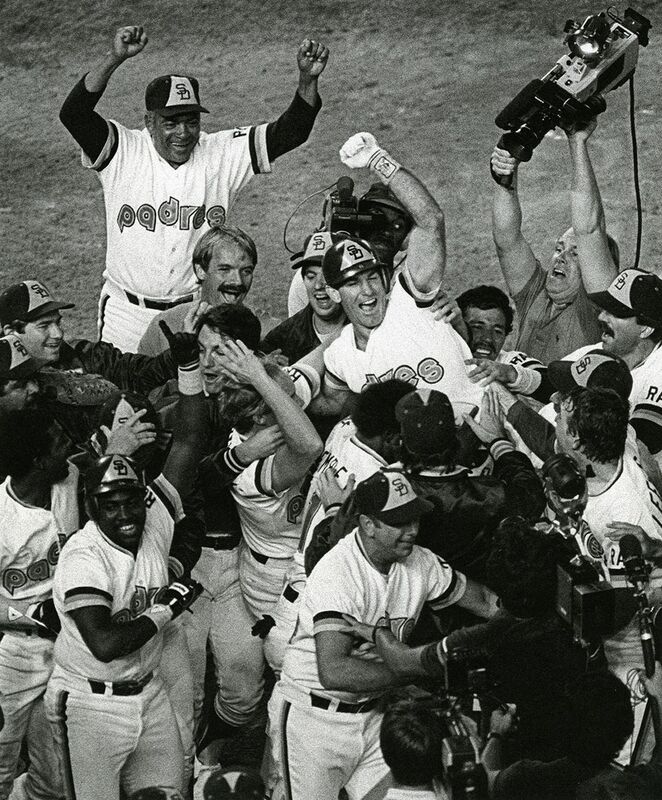 The momentum of the classic game carried into the Game 5 and propelled the Padres into their first ever World Series. For his efforts during the Series, Garvey was named the NCLS MVP. Garvey’s Worth signature model bat exhibits extensive use (uncracked), with a number of ball transfer markings. Extensive pine tar covers the handle. 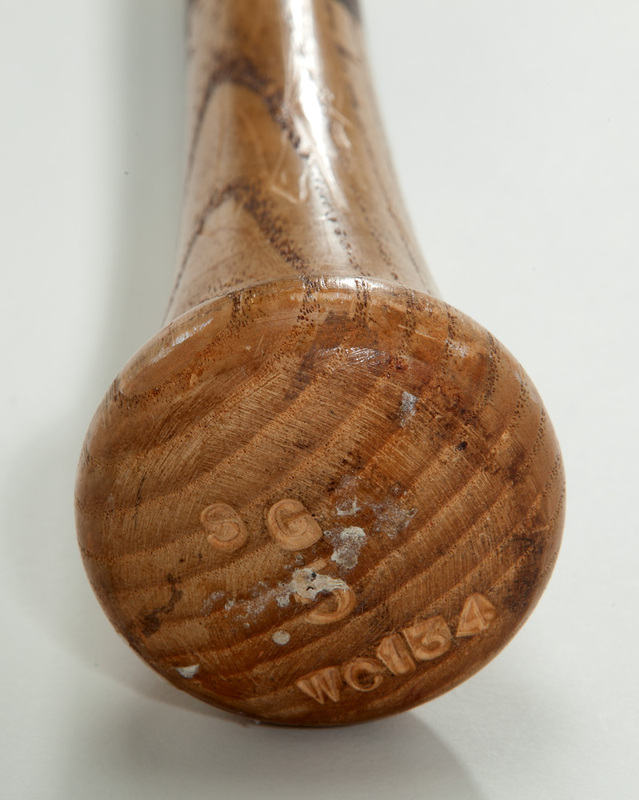 Knob is stamped “S G”, “5”, and “WC154”. “Swing C-2 WEIGHT” sticker on handle. 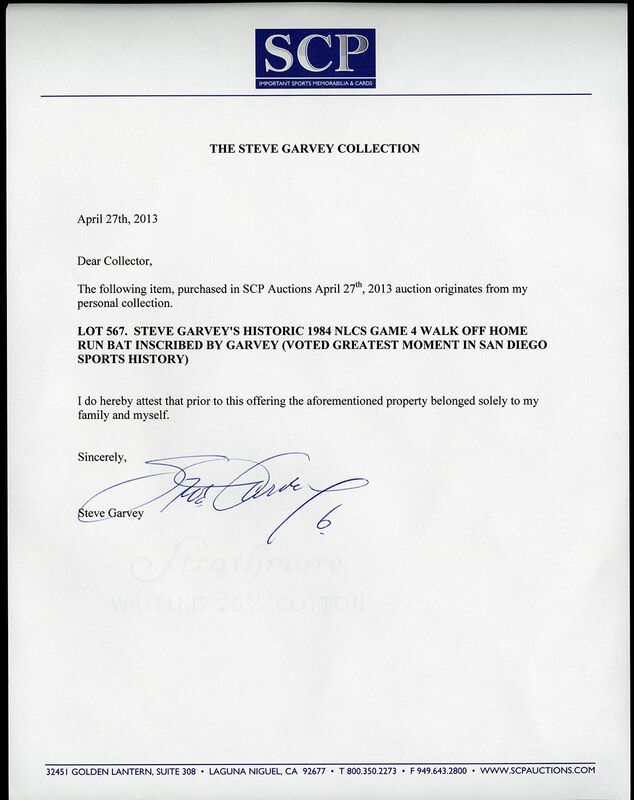 Garvey has inscribed the barrel in bold, near perfect looking 9/10 black felt tip pen “Steve Garvey 6 “The Home Run” Game 4 - 1984 NLCS”. A historic and goose-bump inducing artifact used for what was voted as the greatest moment in San Diego sports history.